Aston Martin released a sketch of the 003 that suggests the hypercar's design has been inspired by the Valkyrie's extreme aerodynamic shape. LONDON -- Aston Martin plans to expand its hypercar lineup with a coupe code-named the 003 that will debut in late 2021, the automaker said in a statement. The automaker's hypercar lineup includes the 1,000-plus-hp Valkyrie and the even more powerful Valkyrie AMR Pro derivative (code-named 001 and 002, respectively). Both models were designed in partnership with the Red Bull Formula One race team. Sales of the 003 will be limited to 500 units. The 003 is expected to be cheaper than the Valkyrie, which will 2,399,940 pounds ($3.16 million) when it arrives next year. The Valkyrie will be limited to just 150 cars. The Valkyrie AMR Pro, which will be limited to 25 units, will start at 4 million pounds ($5.3 million). The new car is a “direct descendent” of the Valkyrie, Aston Martin CEO Andy Palmer said in the statement. “It vital to us that Valkyrie would create a legacy,” he said, adding that the new car would set new standards in the hypercar market. Limited-edition hypercars have become a useful revenue stream alongside full-production models as well as a powerful marketing tool. Palmer has said the hypercar lineup will help Aston Martin market its planned mid-engine sports car that arrives in two years to challenge the Ferrari 488. “It's about creating credibility and authenticity in that mid-engine segment that we have never played in before,” the CEO said. The 003 hypercar will target rivals such as McLaren's Senna, which costs 750,000 pounds ($995,000) and is also limited to 500 units. Ferrari's most recent hypercar, the LaFerrari, has come to the end of its life cycle and is not expected to be replaced until 2022. Aston Martin says the car will be fully homologated and available in all markets, in both left- and right-hand drive setups because the emphasis will be on daily driving, rather than track-only use, as with the Valkyrie models. The new car is expected to use a version of the Valkyrie's V-12 hybrid powertrain, but will offer more practicality including space for luggage, Aston Martin said. 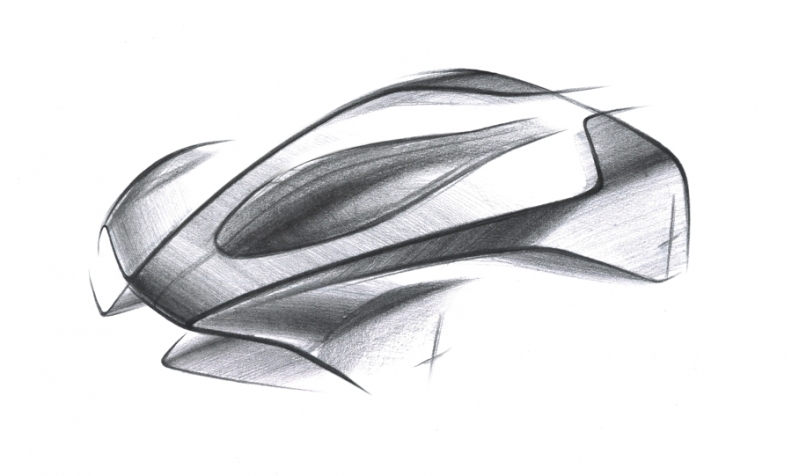 A sketch of the car released by the company suggests the design of the 003 has been inspired by the Valkyrie's extreme aerodynamic shape. Berenberg, an asset management company, warned that Aston Martin was becoming too financially reliant on deposits paid for low-volume, high-price models such as the Valkyrie. The company said customers are being asked to place a 500,000 pound deposit for the automaker's hypercars. Berenberg calculates that deposits paid by customers for future Aston models totaled 435 million pounds at end of 2017, equating to 49 percent of sales. “Deposits are debt-like liabilities that increase leverage,” Berenberg said in a report. Aston Martin is seeking a valuation of up to 5.07 billion pounds from its stock market flotation which it says will happen in early October.